Travelling for business is often portrayed as a perk – visiting new cities, meeting new people and jet-setting across the globe. Although it is not as glamorous as it often looks and can sometimes become a little lonely. 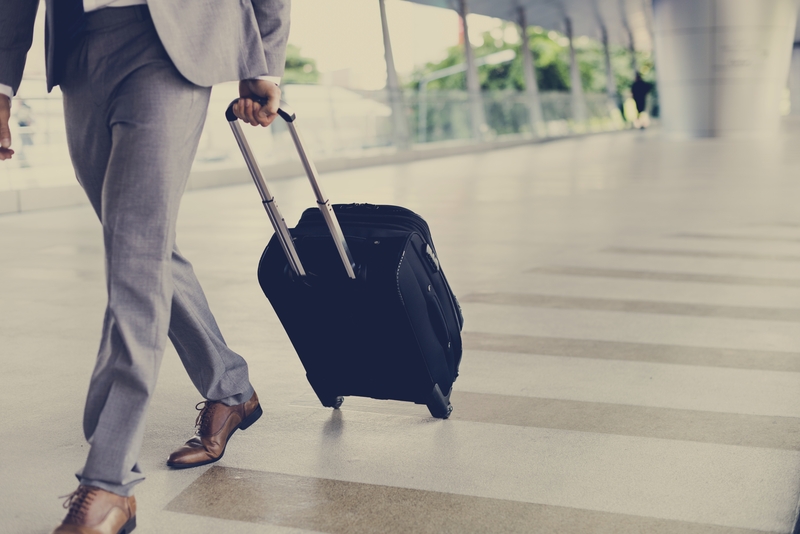 You’re often hundreds of miles away from family and friends and lack a social life and, with many workplaces promoting a healthy work-life balance at the moment, travelling for business can become unsociable and affect a person’s well-being. Exercise releases endorphins and has been proven to have both physical and mental benefits to the human body. Increasing your heart rate for just one or two hours can have immediate effects on your mood and boost happiness. If going to the gym isn’t your thing, why not take a brisk jog outside and explore your new surroundings? Not only will you feel healthier in yourself, you might even stumble across a a new café or park to remotely work from. Chances are, if you’re on a business trip then your agenda is not to sightsee. But if you do have some time to get out and visit a few tourist attractions, your time spent away from family and friends may feel a little more worthwhile. Admittedly, sightseeing by yourself may not be as much fun than with a friend. So why not ask a colleague if they want to go with you? Getting out and seeing how a different city, or even culture, live their lives is a great way to spend your time whilst staying away on business. Even though you’re already working away from home, you may find yourself working in your room late into the evenings. Whilst this is okay if something urgent comes up, making a habit of it will soon have an impact on your well-being – even if the apartment you’re staying in is a luxury serviced apartment like Cotels! Even though you’re away from home, it doesn’t mean your evenings have to be dedicated to catching up on emails! If you feel you need a little background noise, then many hotels have lobby areas and cafés which can be more sociable to work from. Suggest that you meet a colleague for a coffee on on your lunch break so you can have a little human interaction whilst getting work done. Staying in contact with family members and friends is far easier now apps such as Skype and FaceTime are available at our fingertips; use them to your advantage and keep in contact as much as possible. You don’t need to go out every night for food and drinks in order to stay sociable. An evening on FaceTime to your loved ones is a great way to forget about work related stress and even a short amount of time spent talking over the phone will lift your spirits. Business trips should be seen as a time to seek new opportunities and give your career a boost. Although lonely at times, keeping sociable, active and healthy by following some of our tips are all great ways to keep positive about your time away. It’s often the simplest of things that have the biggest impact on your productivity. Don’t forget to check out Cotels on your next business trip to the Luton, Milton Keynes or Northampton areas. Our luxury serviced apartments are perfect for business trips – a home away from home.